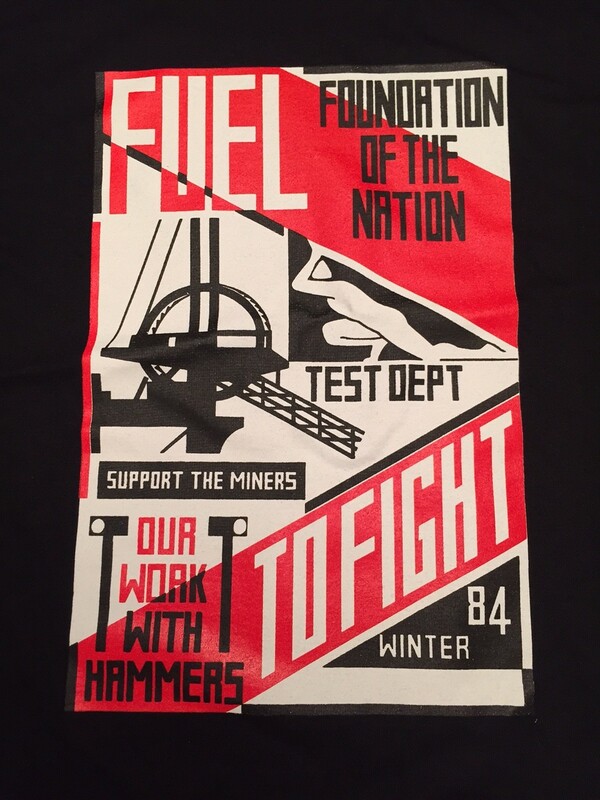 New Versions of an old classic: Fuel to Fight – poster image from the 1984/5 tour with the striking South Wales Miner’s choir. 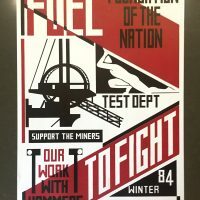 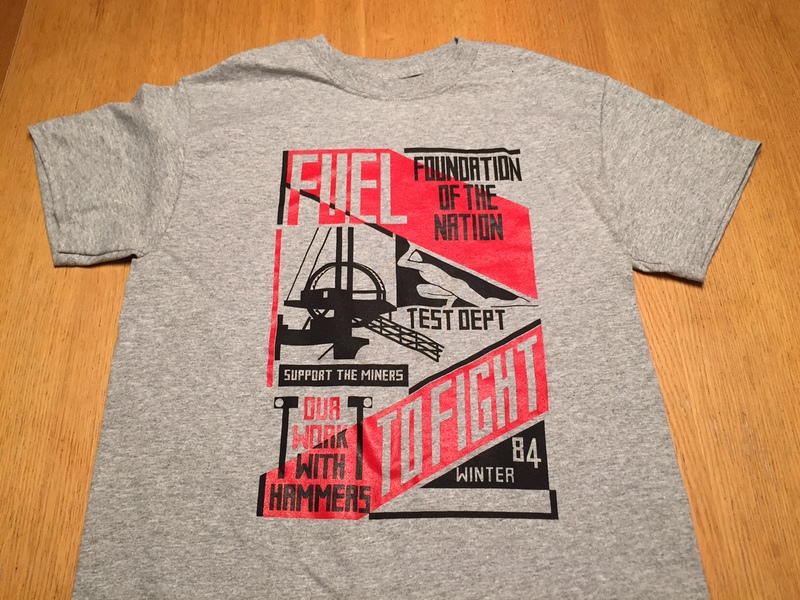 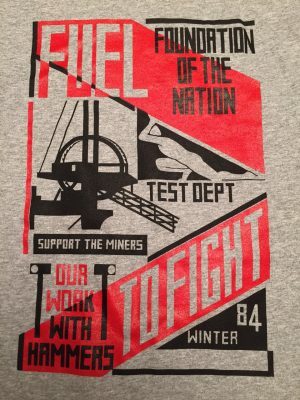 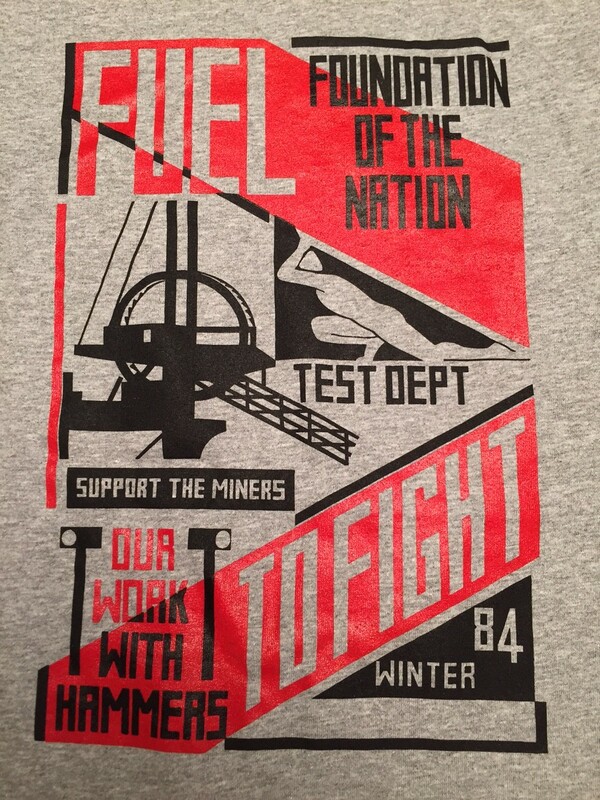 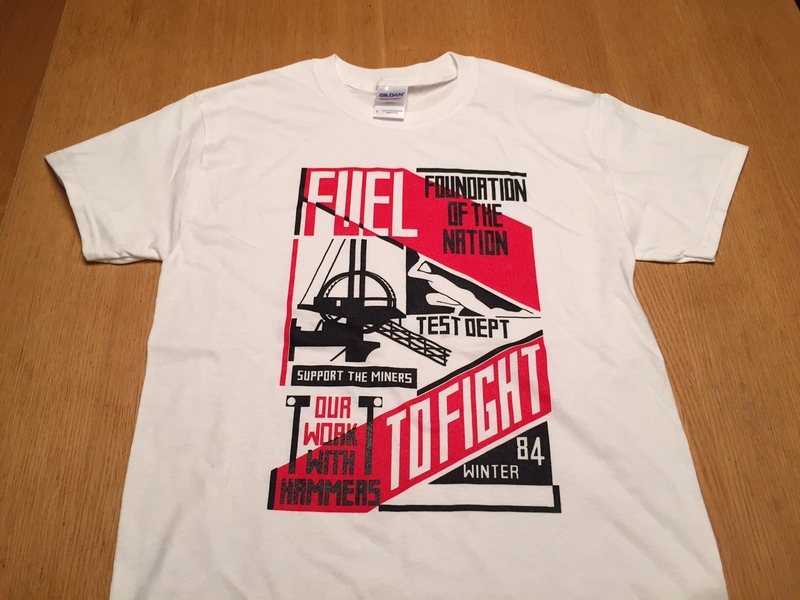 Fuel To Fight T Shirts: – The classic Fuel To Fight Poster image and cover of the 1985 ‘Shoulder to Shoulder’ album that paired recordings of the South Wales Striking Miner’s choir singing traditional song with three Test Dept tracks. 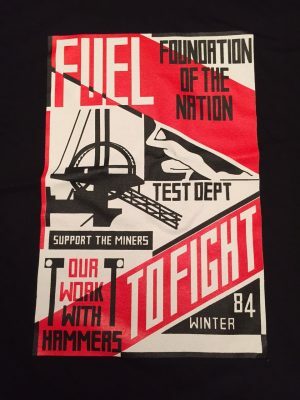 The Choir had toured with Test Dept in support of the Miners strike in 1984/85. 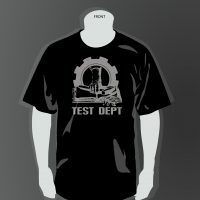 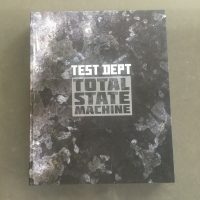 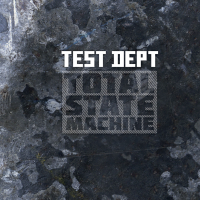 This T-shirt has been made available again by PC-Press in conjunction with Test Dept. 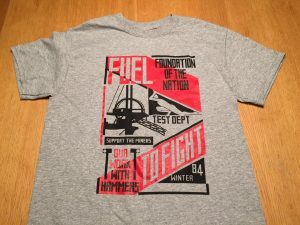 The shirts are screen printed in two colours (White and Grey T’s) or three colours (Black T’s) by Screen One – Bristol. 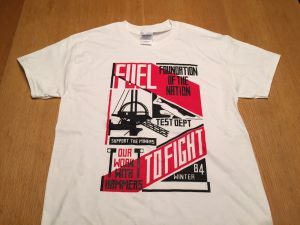 They are heavy cotton Gildan T-Shirt’s available in Small, Medium, Large and Extra Large. 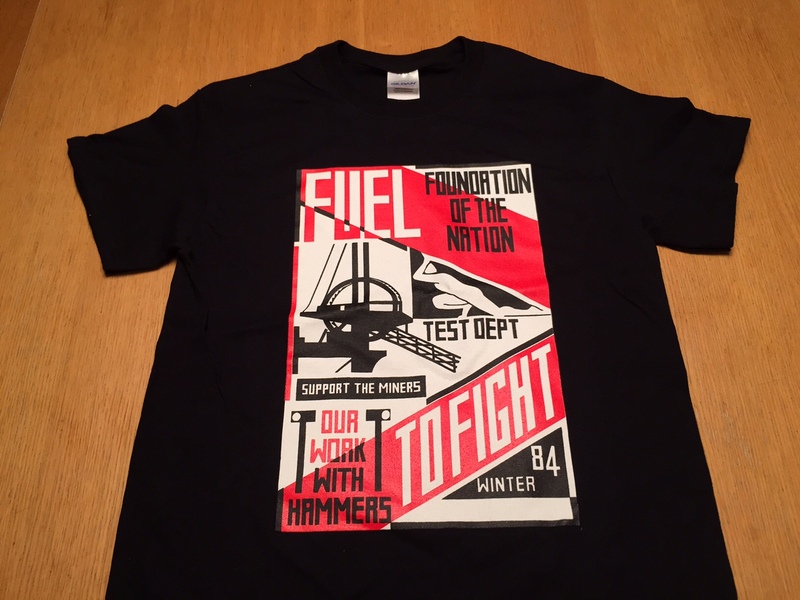 NB – We have now sold out of Large Black T’s we only have Grey and White left.